AEther Flash ($0.40) Price History from major stores - 7th Edition - MTGPrice.com Values for Ebay, Amazon and hobby stores! 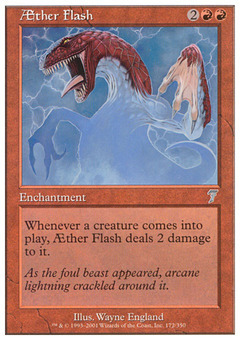 Card Text: Whenever a creature enters the battlefield, AEther Flash deals 2 damage to it. 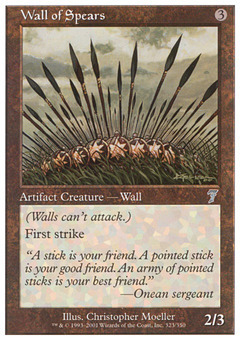 Flavor Text: As the foul beast appeared, arcane lightning crackled around it.